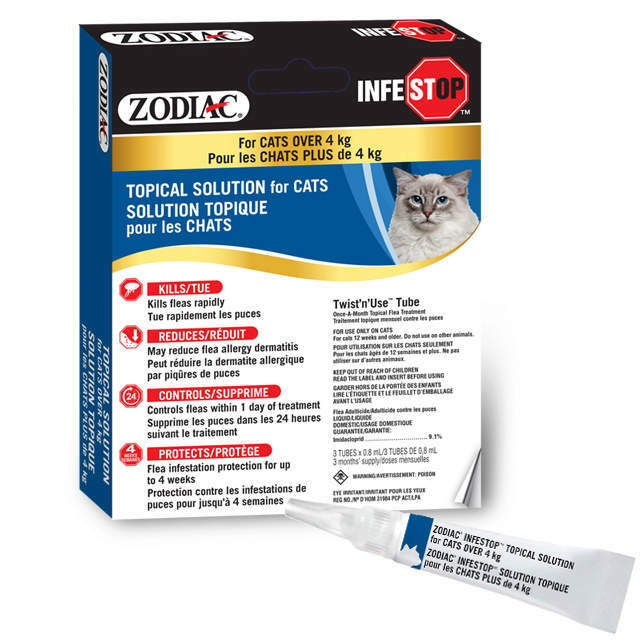 If you prefer the use of topicals, ZODIAC® Infestop™ for Cats offers an easy to use, effective and economical alternative. These products are designed to be used Once-A-Month. May reduce flea allergy dermatitis. The successive feeding activity of fleas on pets may elicit a hypersensitivity skin disorder known as flea allergy dermatitis (FAD). 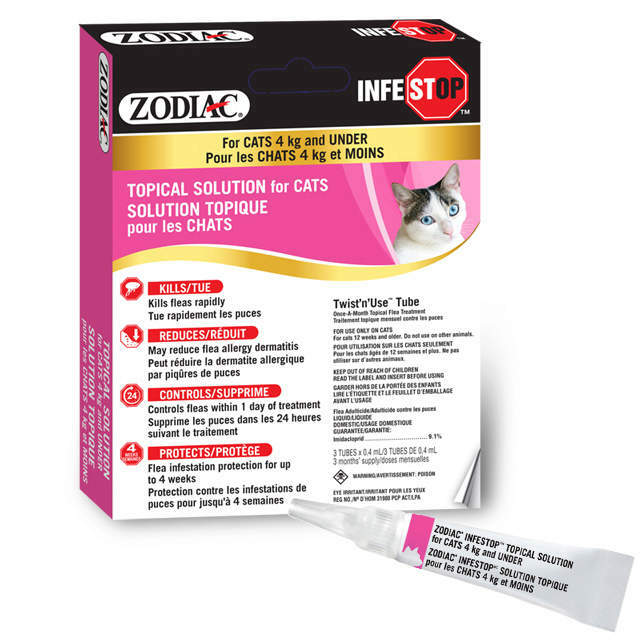 Infestop™ Topical Solution rapidly kills fleas and may reduce the incidence of this condition (FAD). FOR USE ONLY ON CATS. For cats 12 weeks and older. Zodiac is a registered trademark of Wellmark International. Infestop is a trademark of Farnam Companies, Inc. Advantage is a registered trademark of Bayer Intellectual Property GmbH. Twist ‘n Use is a trademark of Neopac.